Ottawa Fury FC is sticking with the tried-and-tested United Soccer League. "It was always a long shot, I think, for the Fury to be in the Canadian Premier League in its first year," says Mark Goudie, president and CEO of Ottawa Sports and Entertainment Group. In deciding not to join the Canadian Premier League for its inaugural season, Ottawa Fury FC says it has opted to stick with the tried-and-tested United Soccer League. "They're a well-run league," said Mark Goudie, president and CEO of Ottawa Sports and Entertainment Group which owns the men's soccer team. "Over my career, I've been part of six different leagues and they've got their poop together." Many had expected Ottawa to become the eighth team for the CPL's spring kickoff. Goudie surprised many by offering a different plan, saying the Fury are committed to the USL for next season while keeping the door open to the CPL down the line. "It was always a long shot, I think, for the Fury to be in the CPL in its first year," Goudie said in an interview. "Some of the things that they just haven't done just come with maturity. They need to get all of the aspects of starting a league in place and that doesn't happen until you start the league and you start operating the league. "People, particularly on social media, are making it (USL vs. CPL) a good and bad thing. It's really not that, it's just about maturity. Where we are, we're playing high-quality Division 2 soccer right now. Our objective is to play professional soccer in Ottawa for the long-term at the best level that we can. And if that's fulfilled through the CPL, which I really hope it is, that's great. The question just becomes one of timing." The CPL has taken its time to digest, and react to, the Ottawa news. CPL commissioner David Clanachan is expected to offer his take Monday. CPL teams announced for next year are HFC Wanderers FC (Halifax), York City 9 (suburban Toronto), Forge FC (Hamilton), Valour FC (Winnipeg), FC Edmonton, Cavalry FC (Calgary) and Pacific FC (Victoria). Goudie says the CPL is looking good as it enters Year 1 "but you don't know until you know." Ottawa and Toronto FC 2 are the only Canadian teams in the 33-franchise USL this season. TFC 2 has already announced it will play in the new USL Division III next season. 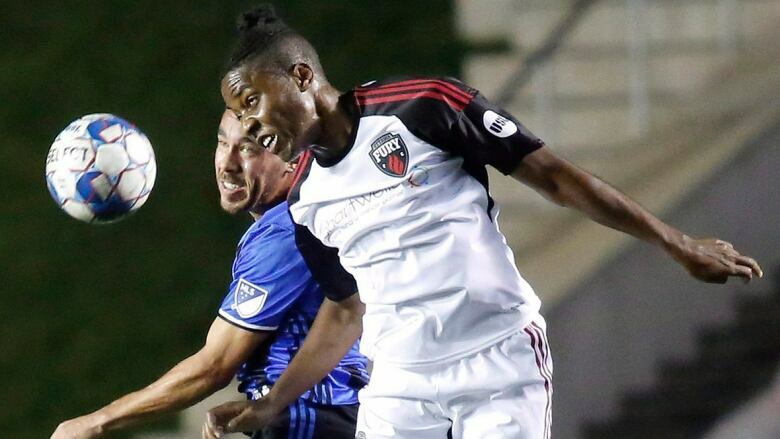 Ottawa, which left the North American Soccer League for the United Soccer League in 2017, currently stands ninth in the USL Eastern Conference with an 11-13-5 record. Goudie says he has shared his franchise's experiences with those behind the CPL. "We had some hard lessons learned, particularly from our experience in the NASL back in the day, but also in terms of things we did good and things we did poorly starting a professional team in Ottawa. So I was happy to share all of those experiences with the [CPL] and with any teams as they kind of went through the vetting process with new owners. So I think we've worked pretty closely with them for the last two years." In joining the USL, the Fury negotiated an agreement that allows it to exit with proper notice to join the CPL, so an escape door exists. But Goudie notes "exiting [the USL] means we can't go back," citing USL expansion fees of $8 million US for a franchise. Goudie says the Fury have also been in contact with the Canadian Soccer Association, which ultimately has sanctioning last say. Ottawa is currently sanctioned to play in the USL in 2019.